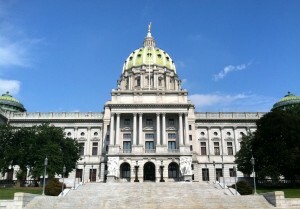 Lawmakers struggle to avert the ‘fiscal cliff,’ Corbett says he’ll seek a second term, and more. Good morning politicos, here’s the Buzz. Maps: How Casey, DePasquale & McCord Compared to Obama: Three Democrats, three men whose names are in the conversation for Pa. Governor. Here’s how they compared to the so-called top of the ticket on election day. Capitolwire: OFF THE FLOOR III: Senate Democrats put themselves into position for map, Obama to win for them. Capitolwire: OFF THE FLOOR II: Winners and Losers of 2012 elections. Capitolwire: OFF THE FLOOR: Senate GOP insiders say they will ‘run, not walk away, from the governor’ on policy next year. Capitolwire: Capitolwire: Privatized or not, officials mulling expansion of PA Lottery games. Capitolwire: Capitolwire: Lottery procurement enters ‘critical’ phase. Inquirer: After this election, is Pa. true blue? Daily News: Are payments to Chester rep’s family conflict of interest? Primary TC and replace Gleason who is already endorsing him.